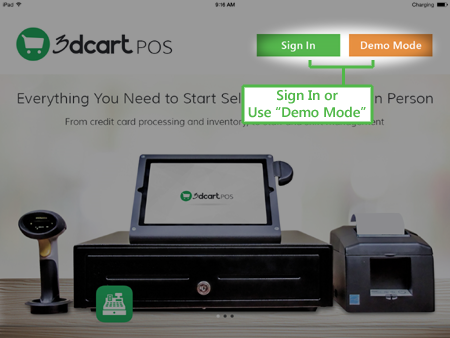 Let's go over how to get started with 3dcart's POS App. There will be two steps to this process. 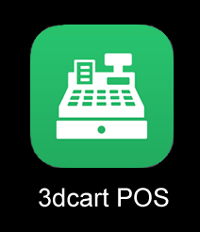 Using the POS App for the first time and connecting it to your 3dcart store. 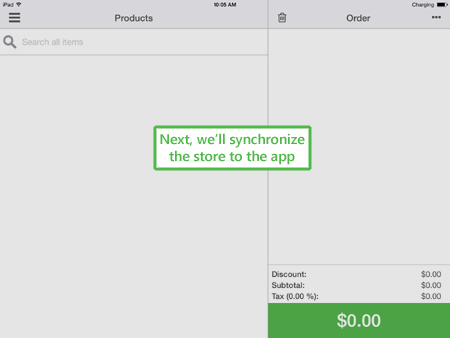 First, let’s get the POS app installed on your iPad. Use this option if you don’t yet have a store and would like to have an “Under-the-Hood” look at the App in action. If you’re ready to connect your store to the App, follow these steps. Use the top search bar and search for "POS" and click on the Settings Button to view the setttings window. Before proceeding with the next step, select which status you would like to use for POS orders on your store once they are placed. When you synchronize your orders, they will be moved to the selected status and trigger the appropriate email. If you select Shipped status, the store will send out its usual Shipped Order email. If you select POS, the store will instead send this status' email. You may edit the POS specific order email by going to Settings >Design >Emails and editing the POS email template. Keep this page open on your browser. The Manage Devices page will likely be blank. This is normal. Your store is now in “Listen” mode and is waiting for the authorization request from the iPad app. At present, only one store may be connected to the POS App at a time. However, you can connect multiple devices (using the POS App) to the same store; at the same time. 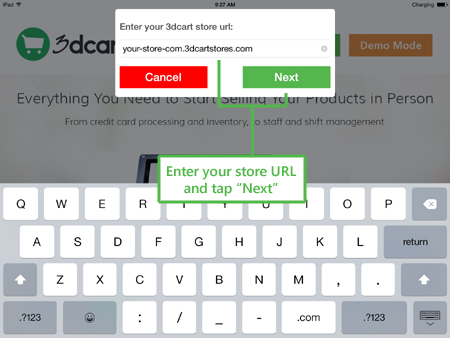 While on your iPad, tap on the 3dcart POS app to open it, if you have not already done so. The App will send information to your store for the authorization request. You should now see your iPad request log on the page. 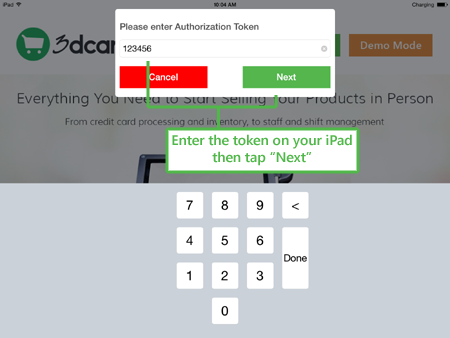 To the right of the log entry, use the action wheel and select "Authorize"
Next, you will be prompted to create and re-enter a PIN for your iPad device. The pin can be anything you'd like as long as it is 4 digits long. You're all set! 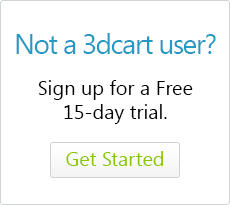 Your iPad device is now connected to your 3dcart store. At this point, the POS App has imported your store's basic Store Name information. If you are connecting multiple iPad POS App devices to the same store, repeat these steps for each device.